The Saint Bonaventure Bonnies finally returned home and took a 75-66 loss to the Davidson Wildcats. Two very good coaches faced off with two very different teams. The Bonnies had a trip to the NCAA tournament. Despite a slow start, the Bonnies had a hot first half. Overall, they shot 43.9% and, had 28 points in the paint. The only other category St. Bonaventure won in front of a nearly sold out rambunctious crowd was points off turnovers with 16 in the battle. The Davidson Wildcats, of course, won it all at the A-10 championship tournament last year. I will never forget the rivalry and the boos that echoed through the Reilly Center on selection Sunday when Davidson was called. Saint Bonaventure is nothing compared to the Wildcats this year. The Wildcats are loaded and the Bonnies are a young team that needs some time but will be very good in the next couple of years. Davidson was second in the A-10 at a record of 15-5 and second in the conference entering Friday evening. Kellan Grady is the star, but he is not the only one. Grady leads the team in points with 17.4 per game. Jon Axel Gudmundsson leads in rebounds, assists, and steals. He tallies 6.7 RPG 4.2 APG and 1.4 STLS and this certainly poses a threat as most of the starters for Bonaventure are freshman. The shortest player on the Davidson roster is 5-10 but, there is no danger of him seeing the floor much with the talented lineup ahead of him. He did see the floor for some time but I forgot he was even there. Davidson has a lot of seasoned veterans and they are only getting stronger as we kickoff February play. 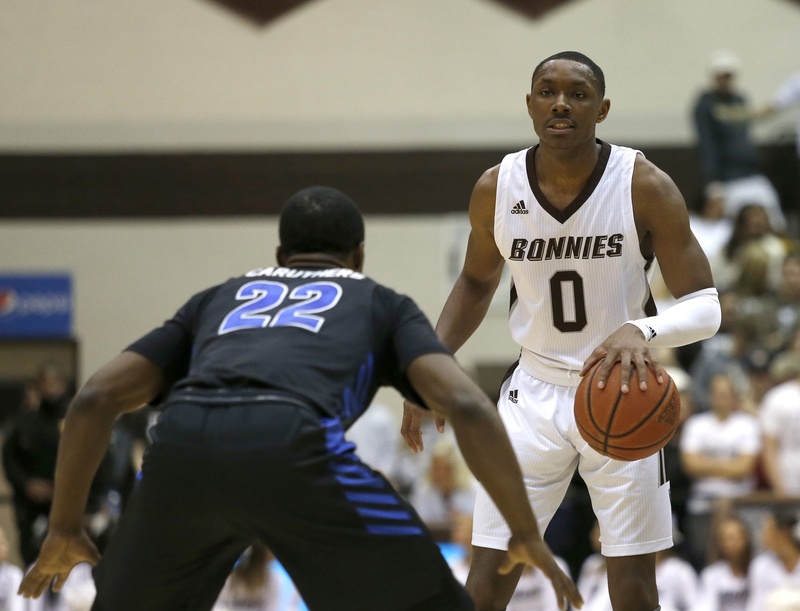 The Bonnies have struggled with injuries and just cannot get stronger. Dominick Welch, Courtney Stockard, and, Ladarien Griffin were all out for the early part of the year. Most recently, Nelson Kaputo and Jaylen Poyser were sidelined with concussion symptoms. Poyser’s ride on the bench continued on Friday. The brown and white are 4-3, 8-12 on the year. If they can continue to find their feet, they could be the sleeper pick at Barclays Center but so far the struggle is real. The Bonnies travel to Pittsburgh to face Duquesne Wednesday, Davidson returns home Wednesday to challenge Rhode Island.